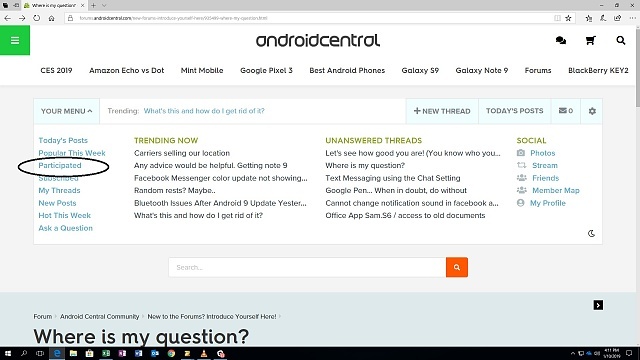 I posted a question yesterday about a problem with a Galaxy 8 phone, and now cannot find it to see if anyone answered. How in Sam Hill do you access your own questions? Shouldn't my account page have a way to do this? There are a vast number of forums, and I can't even remember which one it was. I'll lock this thread. I can't move it elsewhere because I don't want you to lose track of it. Tap on the link provided by @pkcable to get into your original thread. You posted your present query in Introductions. Bear in mind that you are welcome to create a proper introductory thread here any time you like.